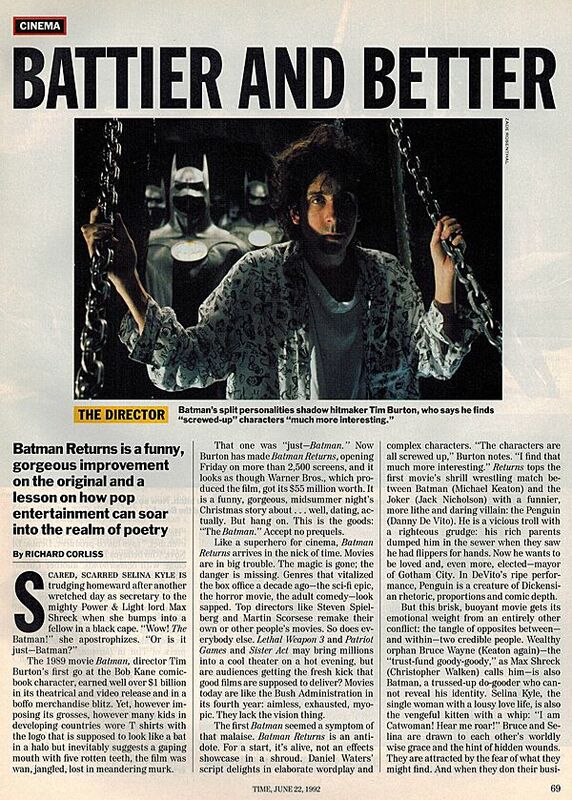 While I disagree with the reviewer's take on the original Batman film, the rest of this writeup on Batman Returns from Time Magazine is pretty spot-on. 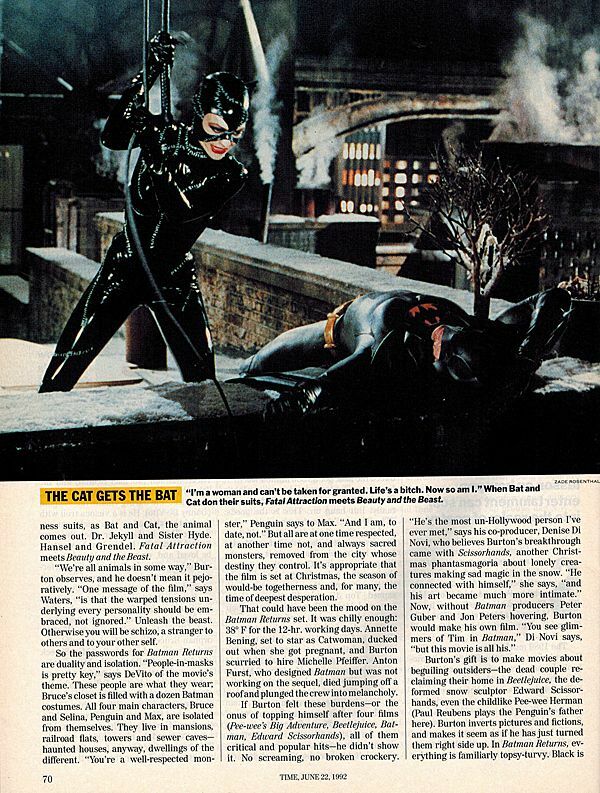 I am especially fond of the bit about Hollywood losing a lot of its magic back in the early 90's, while Batman Returns had it in spades. 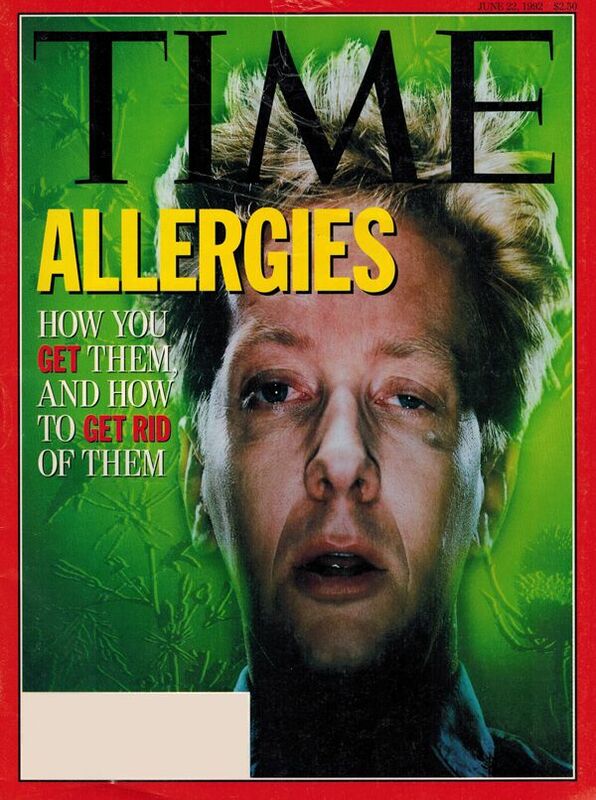 A true breath of fresh air for the movie-going public. 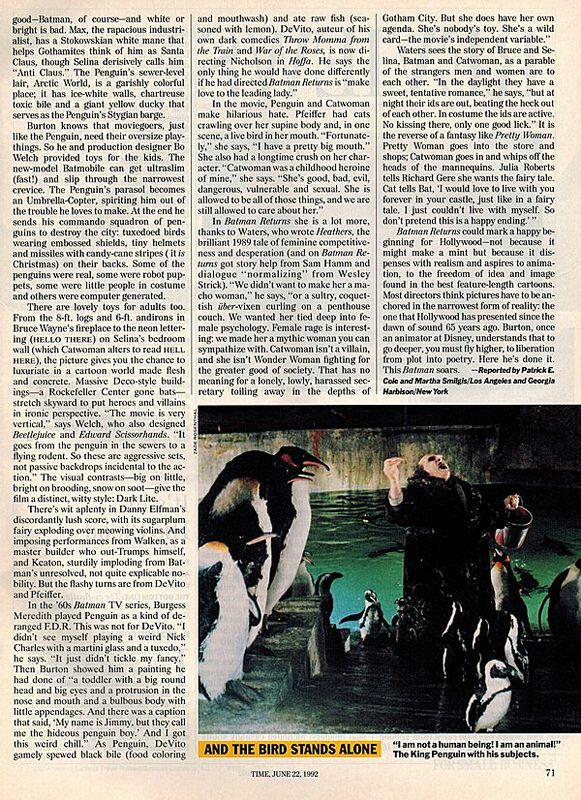 I wonder how the writer feels about today's cinema... which is in an even sorrier state 22 years removed from this review.